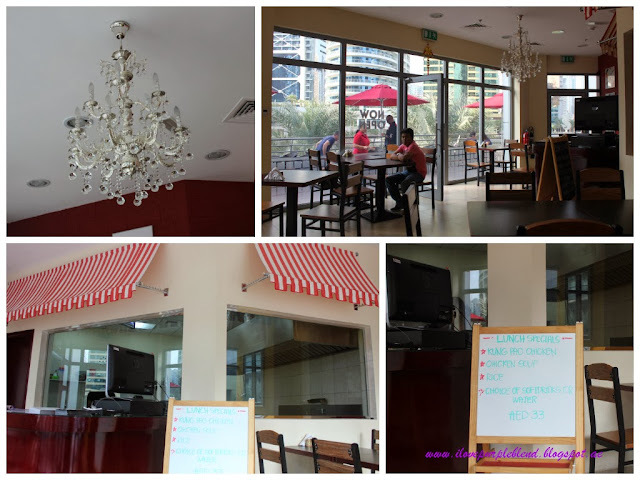 We're been planning a Singapore trip for a quiet sometime and for hundred reason it never materialized :( but visiting Jumeirah Late Towers (JLT) you will have a taste of Singapore. 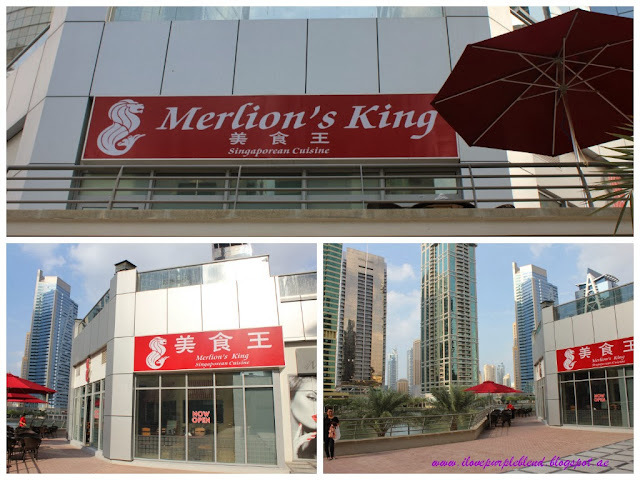 Merlion King is located in Platinum Bldg. adjacent to other eateries with a view of tall buildings and spacious park look a like. The place is not that huge..light, airy and clean with a nice chandelier. When we got into the place there were two tables occupied outside and since it's kinda windy and cold we just decided to seat inside. We informed the wait staff that we have cobone deal and immediately she asked the cook. I asked the wait staff for the menu and I got overwhelmed with a lot of Singaporean goodness. 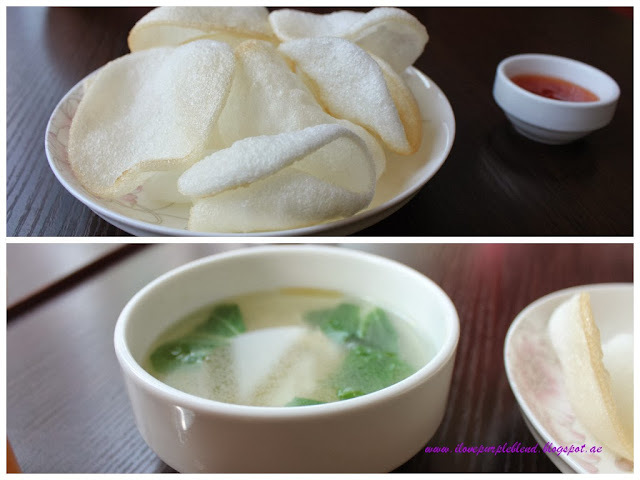 The Prawn cracker is perfectly cooked..served from the pan with chilli sauce. And the soup is also very tasty. 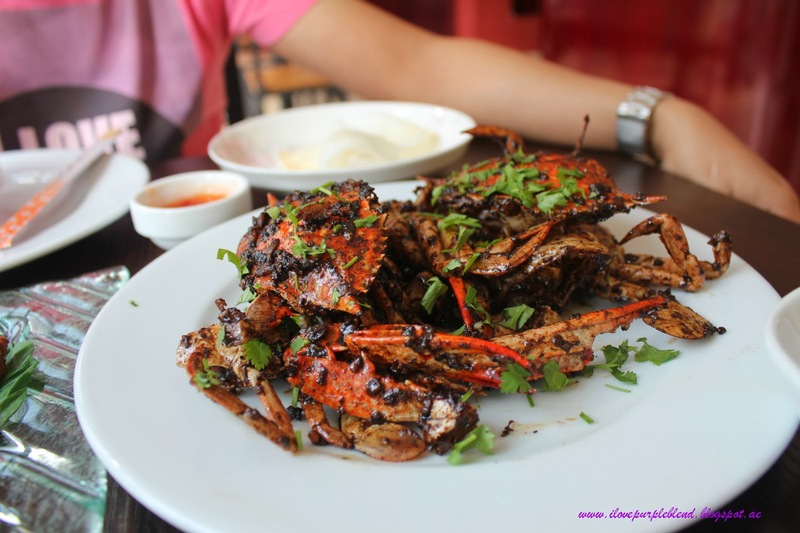 The Singapore Black Pepper Crab is so delicious..it's not big but the meat was nice, soft and fresh. The spiciness is tolerable and you would wish for more rice. 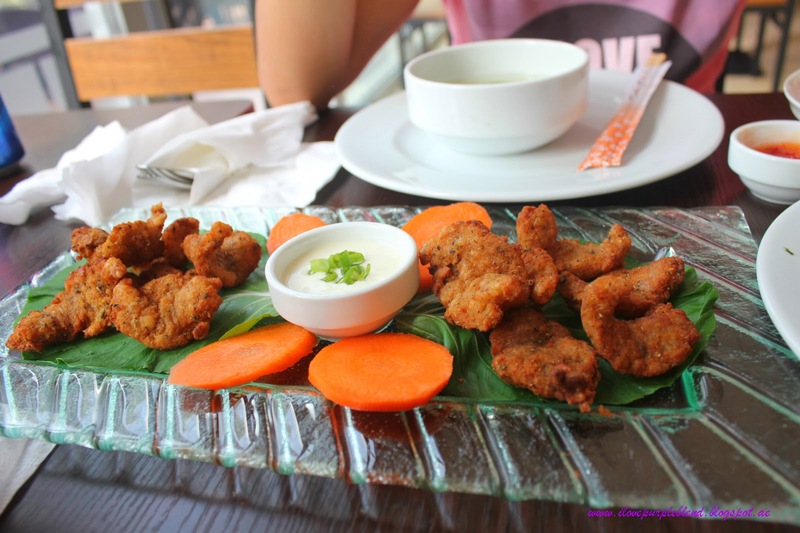 I didn't enjoy much of the Butterfly Prawn..I was expecting of a little bit bigger and I was thinking of Japanese bread crumbs..oh that was my bad I was mixing Japanese with Singapore..lolz!! When you bite the prawn is kinda hard and chewy but the taste is so perfect. And since I want some vegetable for our meal I ordered Kangkong Belachan and this is soooo good. 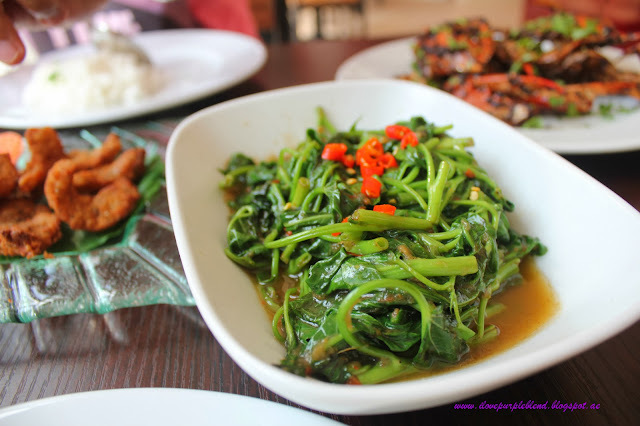 I love the crispiness of Kangkong and the perfect spiciness. 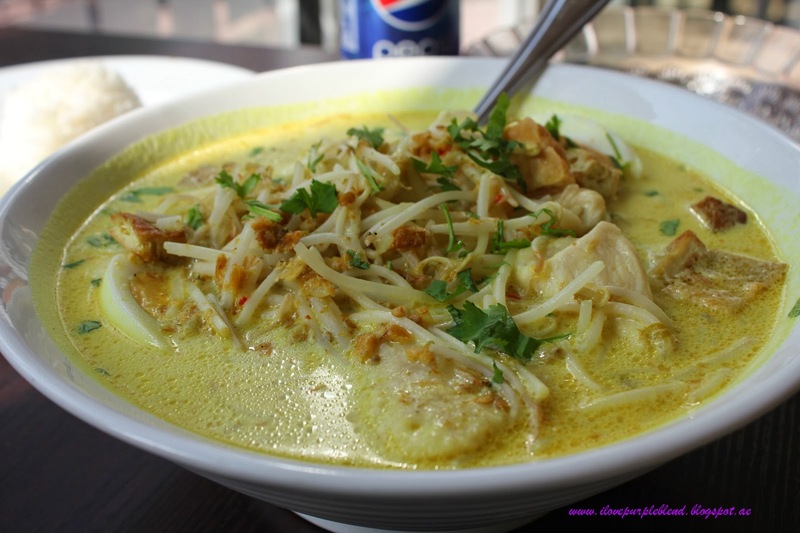 And the winner of all...THE CHICKEN LAKSA!!! we super love this one..the mild spiciness and the coconut milk plus the crispiness of bean sprout and fried tofu..it's so yummy!!! 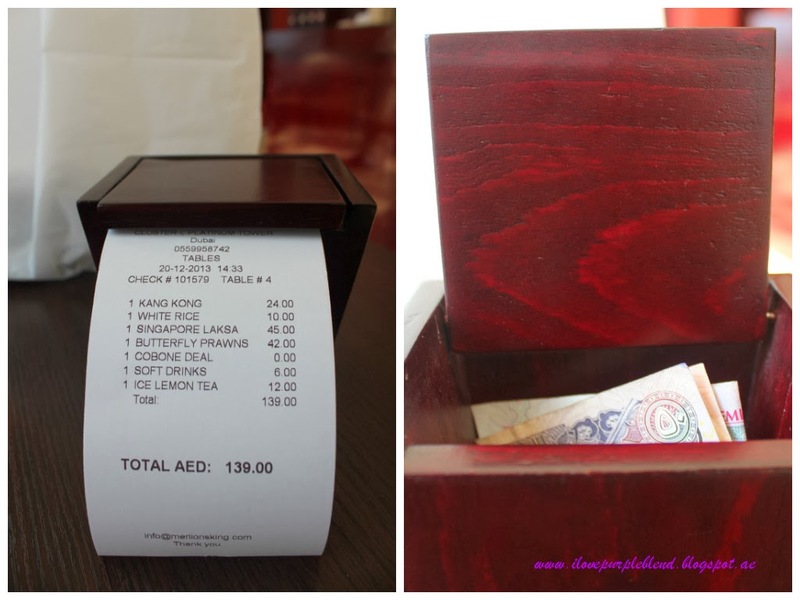 For all of these we paid AED. 139.00 with good food and big serving this is reasonable enough.